The Writing Center Is Open in January! 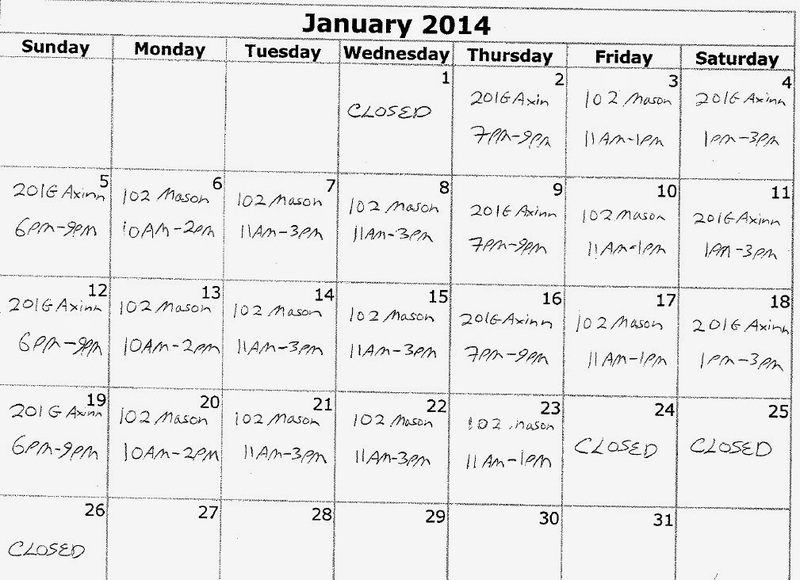 Here Are Our Hours. Please click on this image to expand it. Have you been putting off taking your Writing Proficiency Exam? The Writing Center can help! Are you a transfer student, a junior, or a senior who still needs to pass Hofstra's Writing Proficiency Exam in order to fulfill your graduation requirements? 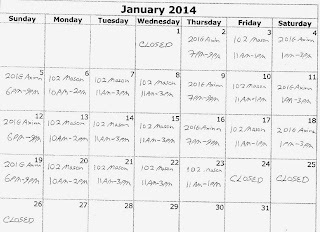 Have you put off taking the exam because you're nervous or because you're having problems scheduling a WSC 2A class? The Writing Center can help! Call Ms. Eileen Greco, who co-ordinates the exam, at (516) 463-5252. She will help you find a convenient section of WSC 2A, the 1-credit course that strengthens your writing and helps you do your best on this important exam (as well as on your school and work writing projects). If you are not able to find a WSC 2A course that fits your schedule, however, the Writing Center can still provide you with tutoring to help you go into the exam with confidence. Register at https://hofstra.mywconline.com/ (click on "click here to register" and fill out the short form); then, log in with your email and new password and click on any white space to make a tutoring appointment. You don't have to wait until the Spring term--January is a great time to take care of this graduation requirement without having to worry about the distractions of the regular semester. We look forward to working with you! January Term is a perfect time to come to the Writing Center to work on dissertations, masters theses, job and internship application letters, resumes, personal statements for graduate and professional schools, and papers for January classes. Watch this space for our January schedule, coming soon! Dozens Enjoy Late-Night Paper Writing Extravaganza! This past Sunday night, December 8th, Hofstra's Writing Center Tutors hosted a very successful "Coffee, Cookies, and Cramming" Paper Writing Extravaganza. 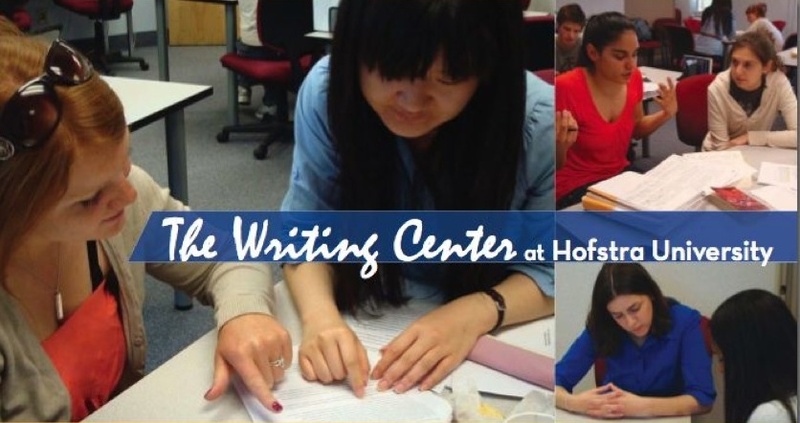 Over sixty graduate and undergraduate students (and one loyal Hofstra alum) crowded the Student Center Plaza Rooms to work on their final papers, enjoy yummy snacks, and take advantage of informal writing tutoring help. Students arrived early, even before the 6PM opening, and our tutor Ben reports that "[t]here were people there right up until the end of the night" at 1AM. One satisfied attendee who has enjoyed using the Writing Center before writes that our tutor "Tina was very helpful" in helping her revise an essay at the event. She continued: "Another thing that I love about the writing center is the tutor-tutoree relationship I build. Every time . . . I go to the center or get tutor[ed], my tutor and I [not] only come up with great ideas, but we create a mini bond." Our great thanks to our tutor Melissa P. for co-ordinating the event, to Jen M. for figuring out the payroll, and to Ben, Kate, Theresa, Julia, Sarah, Tina, Michael, and Brendan (and Melissa P. again!) for tutoring. Awesome job, everyone! Our event was inspired by the International Long Night Against Procrastination, founded by a German writing center team led by Katrin Girgensohn and including Luise Herkner (now at NYU-Abu Dhabi), from whom we learned of this movement. Similar events are now held at Writing Centers all over the world! Details are available at http://www.engageawards.com/entry/130.